simply follow this tutorial to manually update your smartphone to official Android 4.2.2 JB XXUBMGA OS. Download and install USB drivers for SGS4 in your computer. 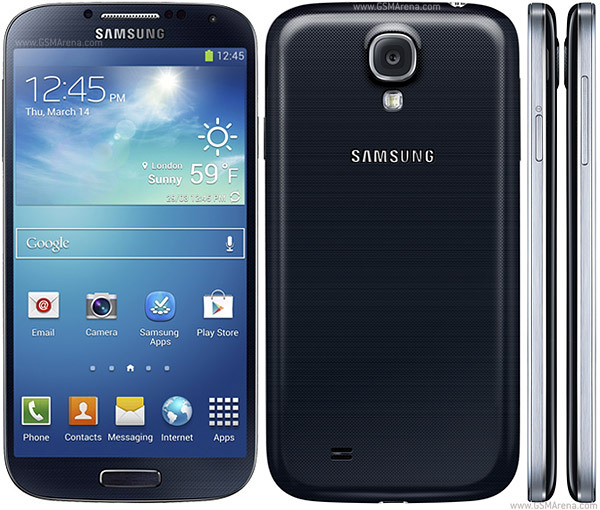 Ensure that your Samsung Galaxy S4 i9500 carries more than 70% of charge. Required files: download the XXUBMGA 4.2.2 JB firmware file from here. Extract and you will get a tar.md5 file. Also download the Odin3 v3.04 for installation from here. Switch your Samsung Galaxy S4 off and boot it in Download mode: press and hold Volume Down, Power and Home buttons together. When connected successfully, you will get a message in Odin saying Added!!. (In case you don’t get it, try another USB port. If that doesn’t help either, then re-install USB drivers). Click on PDA on Odin, locate the firmware file and hit the Start button to initiate the update process. When official update installation is successfully completed, on Odin ID:COM will turn green and Odin will show you a PASS message. Samsung Galaxy S4 I9500 will restart automatically and you can then disconnect your device from computer. Note: In case your device gets stuck at boot screen after installation of official firmware, perform data wiping tasks: turn off S4 and reboot it into recovery mode. In recovery, select the wipe data/factory reset. Go back and reboot your smartphone.